Looking for a magazine that speaks to the issues that matter most to you, a Presbyterian woman? If so, look to Horizons, the award-winning magazine devoted to the mission and purpose of Presbyterian Women. The theme of this issue is ""Identity."" 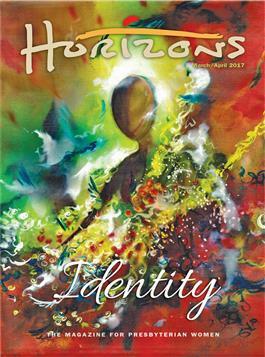 This issue also has a Bible study resource for Lesson Nine of the Horizons study Who Is Jesus? ; a feature recognizing 2016 Honorary Life Membership recipients; articles on identity (as women, as Christians, as humans); and the usual departments that share how PW are strengthening the church, building community, working for justice and peace, nurturing faith, supporting mission, and more.